Strathspey Performing Arts Centre would like to invite youth to play a part in its next presentation of Little Voices. 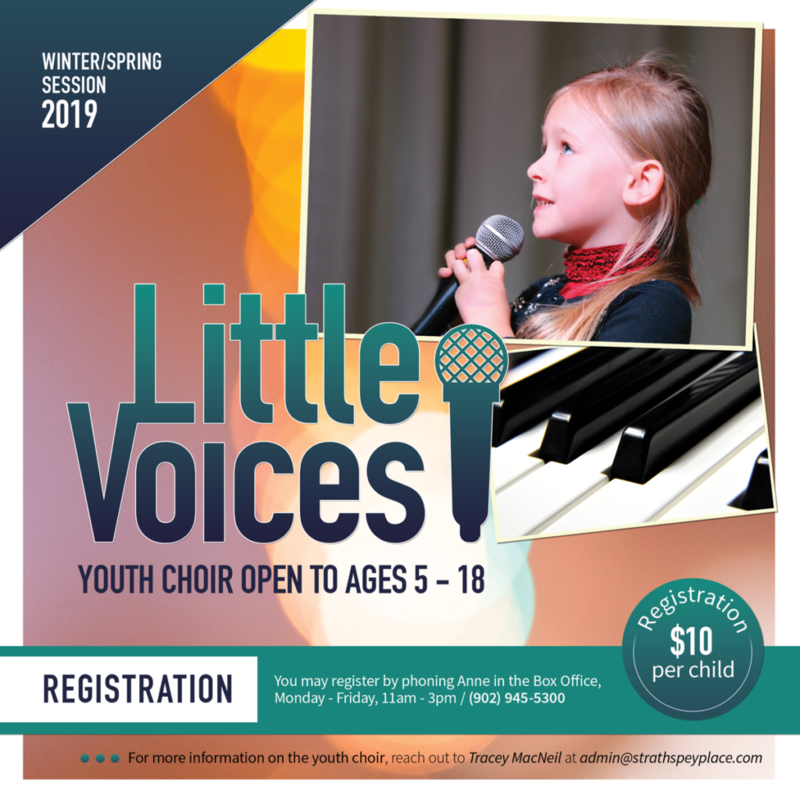 Little Voices is a youth choir program where youth will prepare and learn material to be presented in a concert setting at Strathspey on April 28, 2019. Youth will learn melodies, harmonies, in some cases musical accompaniment, and will perform a finale concert with a live professional band! Rehearsals will take place Monday afternoons at Dalbrae Academy beginning on Monday, February 25 at 3:30pm. Children are permitted to travel to Dalbrae from Bayview & Whycocomagh Education Centres on the school bus where Strathspey staff will meet them in the cafeteria. Full commitment is expected from children and parents/guardians. Parents/guardians are asked to ensure children listen to the songs throughout the week to support and expeditethe learning process.